NEW YORK- HE Dr. Talal Abu-Ghazaleh, Chairman of Talal Abu-Ghazaleh Global (TAG-Global), will be honored for his leadership and support of the Consortium for Sustainable Urbanization (CSU), his creativity and innovations in the information, communication technology, and his universally recognized initiative in the protection of intellectual property rights March 20th at the CSU's first Gala Award celebration to held in New York City. The award ceremony held at The Century Association will include an opening presentation by Maimunah Mohd Sharif, United Nations Under-Secretary-General and Executive Director of UN-Habitat and Lance Jay Brown, FAIA, President of CSU, with the attendance of renowned design professionals in New York, governments, UN representatives, NGOs and academics. Dr. Abu-Ghazaleh who is involved heavily in the work of the CSU and an avid champion of advancement in technology said: "I am proud of the work done by the CSU in connecting the design community, the United Nations and the general public to foster exchange of best practices and innovations on sustainable urbanization." "This recognition is an honor for me and I thank CSU and the UN community for such an award. We still have so many things to do for our beloved world and I place the expertise and our 110 offices around the world in the service of our goal," Dr. Abu-Ghazaleh, chair of the UN ICT Task force and UN Global Alliance for ICT for development, added. 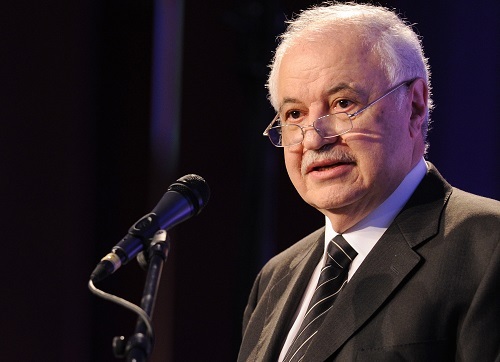 CSU will recognize Dr. Abu-Ghazaleh also for his "vision on internet and its role in shaping the cities and create smart cities resulted in his being the founder of the Global Alliance for Information Communication Technologies and Network 11 and will continue to guide future partnerships." Dr. Abu-Ghazaleh is also the Chair of Consortium for Sustainable Urbanization (CSU) Honorary Council, a New York based non-for-profit organization, accredited by the UN Economic and Social Council (ECOSOC). Its purpose is to advocate for responsible and enlightened planning and design and Co-Chair of UN Habitat Network 11. His passion for everything tech can be best illustrated in his latest book entitled “The Brave Knowledge World” which introduces his lifelong vision and philosophy relating to the Knowledge Revolution and its impact on the future of humanity.